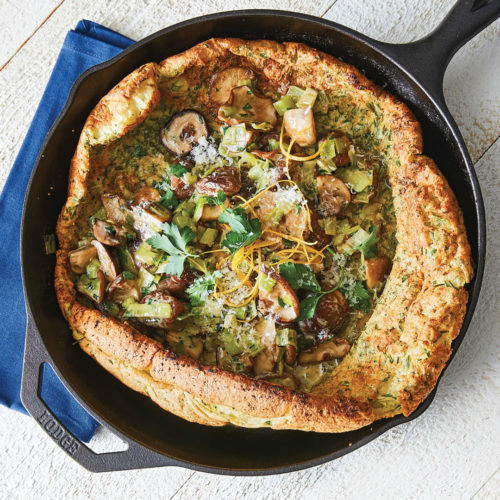 Sweet or savory, Dutch babies are easy-to-make oven pancakes that are perfect any time of the day. If you haven’t tried making a Dutch baby, it’s time you do. This oversize puffy oven pancake is as comforting and homey as it is scrumptious and spectacular, making it well worth getting to know. 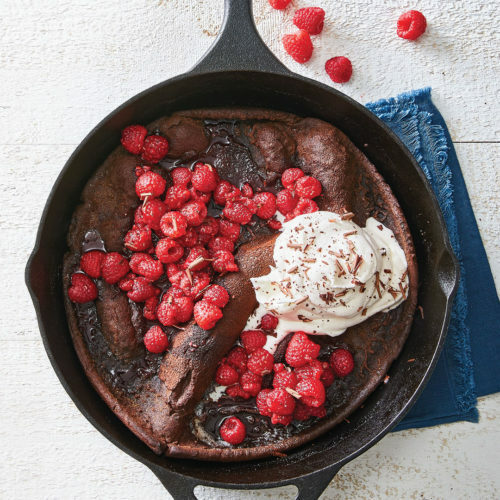 A simple two-step technique gives this pancake its distinctive puffed-up appearance. First, the batter gets poured into a hot buttered skillet on the stovetop. Then, you pop the skillet into a hot oven, which causes the batter to inflate like a popover. Once you remove the pan from the oven, the Dutch baby deflates, creating crisp, puffy edges and a flat, slightly chewy center. Traditionally, Dutch babies are a breakfast treat, but Dutch babies aren’t just morning fare anymore. With a few tweaks, they can easily become lunch, dinner, or dessert. 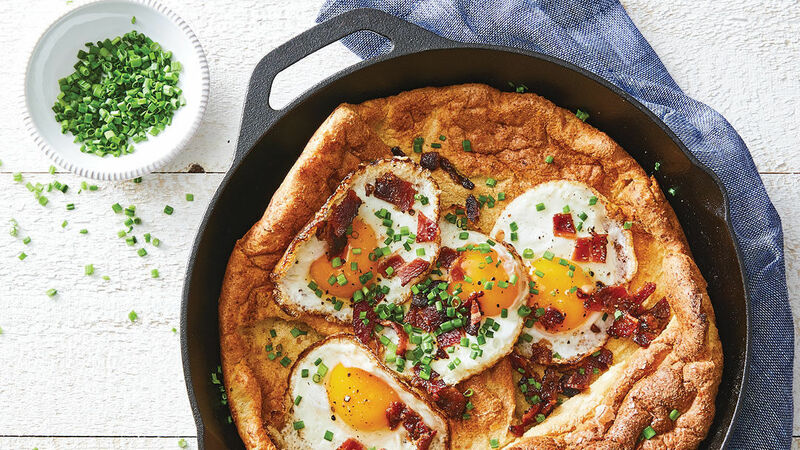 Certainly, it would be nice to start the day with a breakfast Dutch baby featuring a bacon-and-egg topping that says good morning in the best possible way. 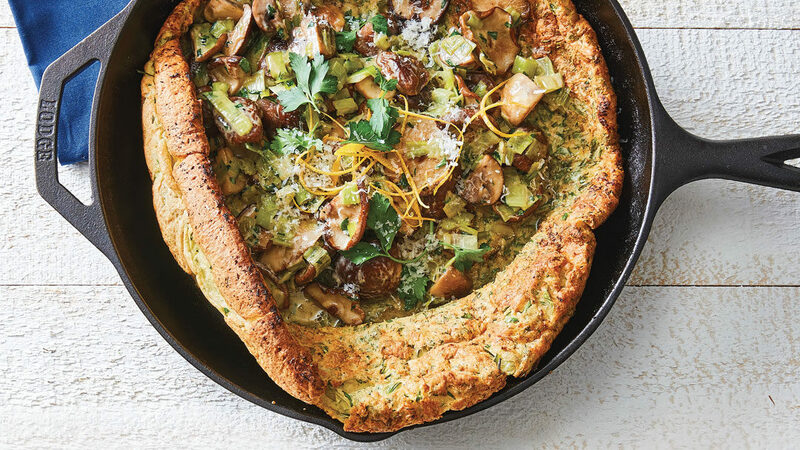 It would be equally delightful to enjoy an herb-packed Dutch baby topped with creamy mushrooms and leeks for lunch. 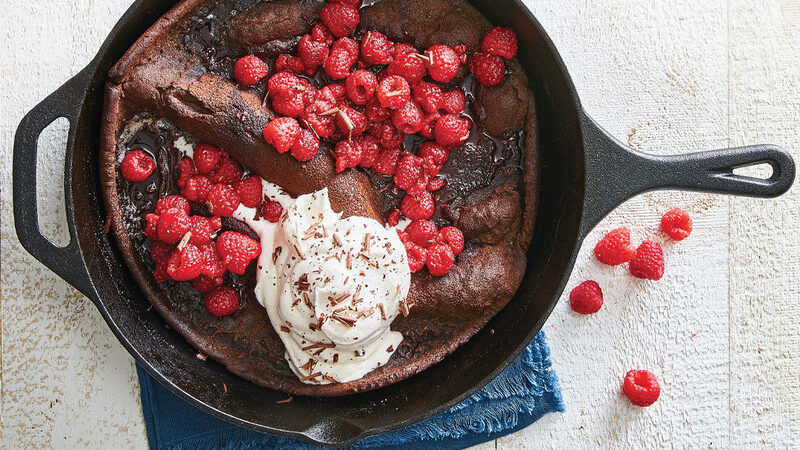 And a weeknight supper is much sweeter with a chocolate Dutch baby topped with raspberries and whipped cream. The process is virtually foolproof, so you can’t go wrong with these recipes. And if you’re anything like me, once you’ve tried one version, you’ll want to taste them all.